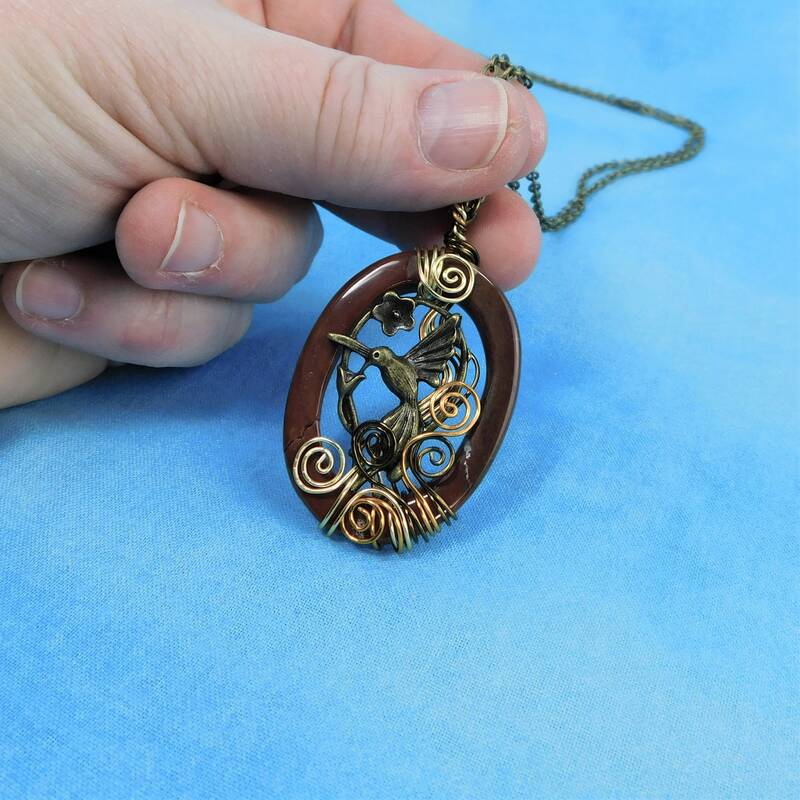 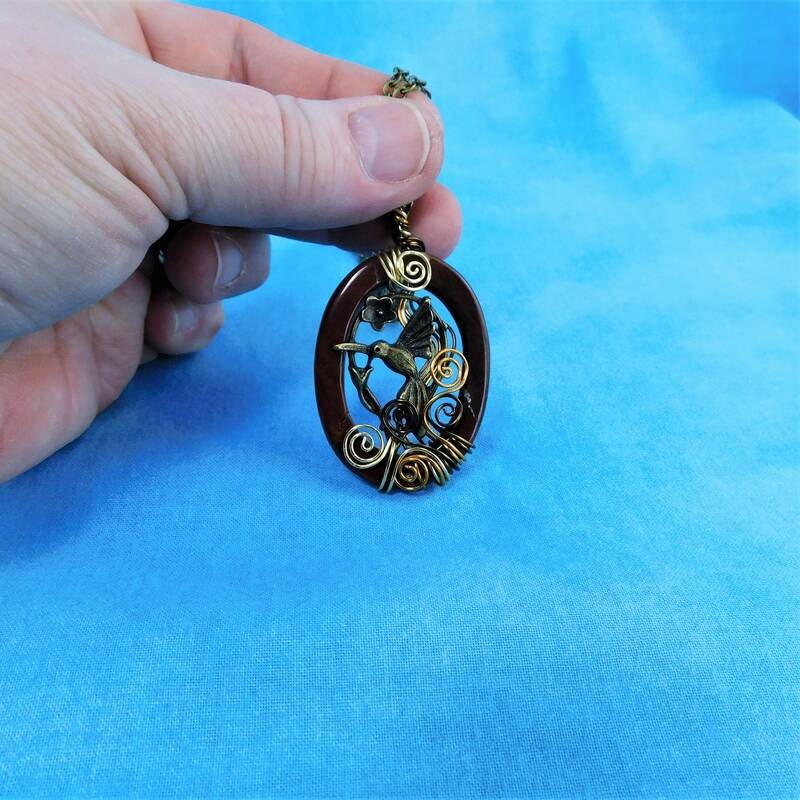 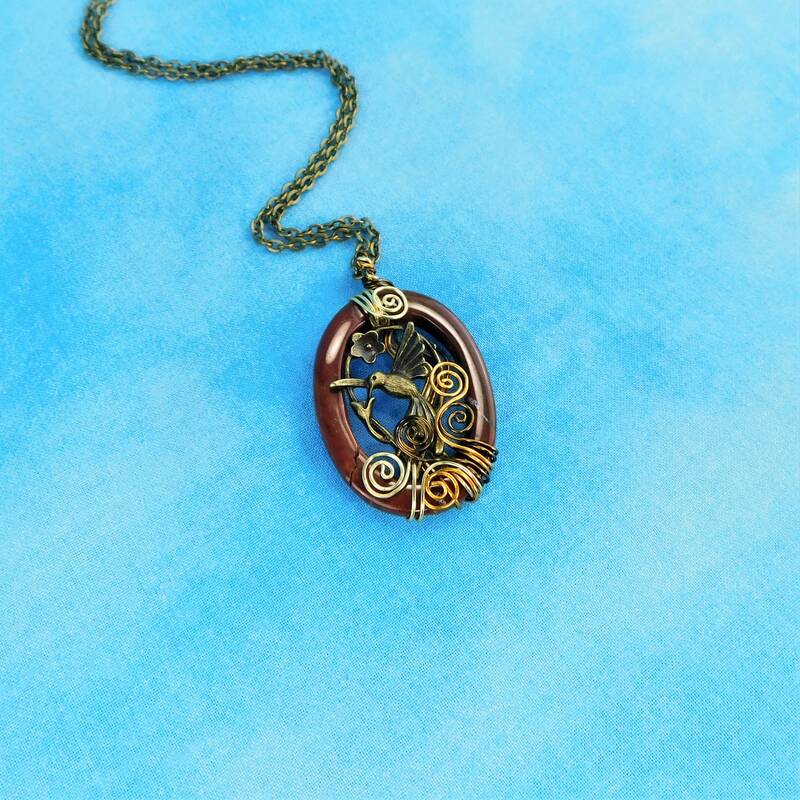 A hummingbird flies in the center of a open oval shaped red jasper pendant. 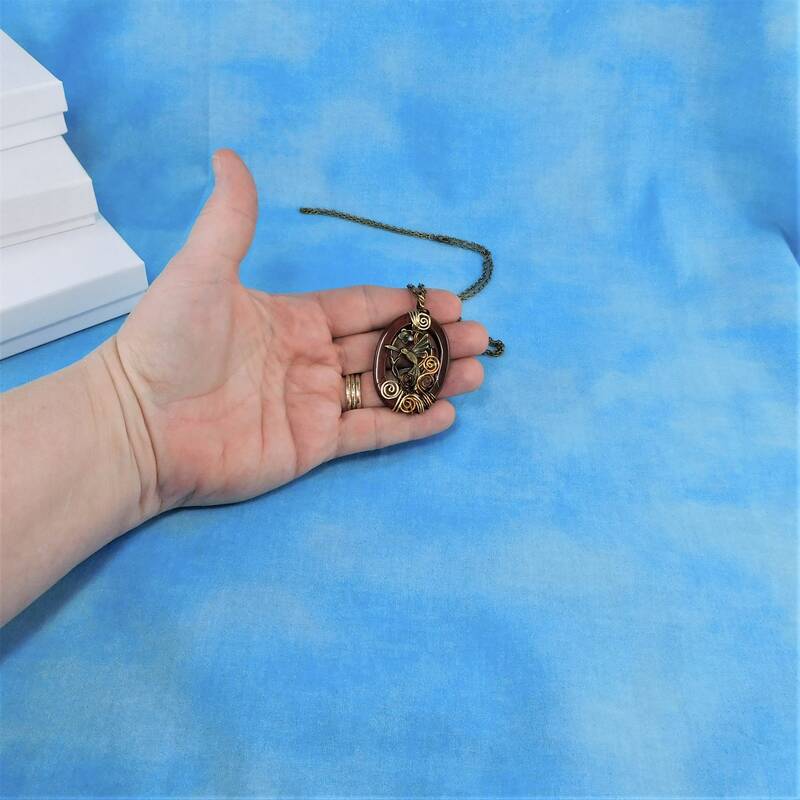 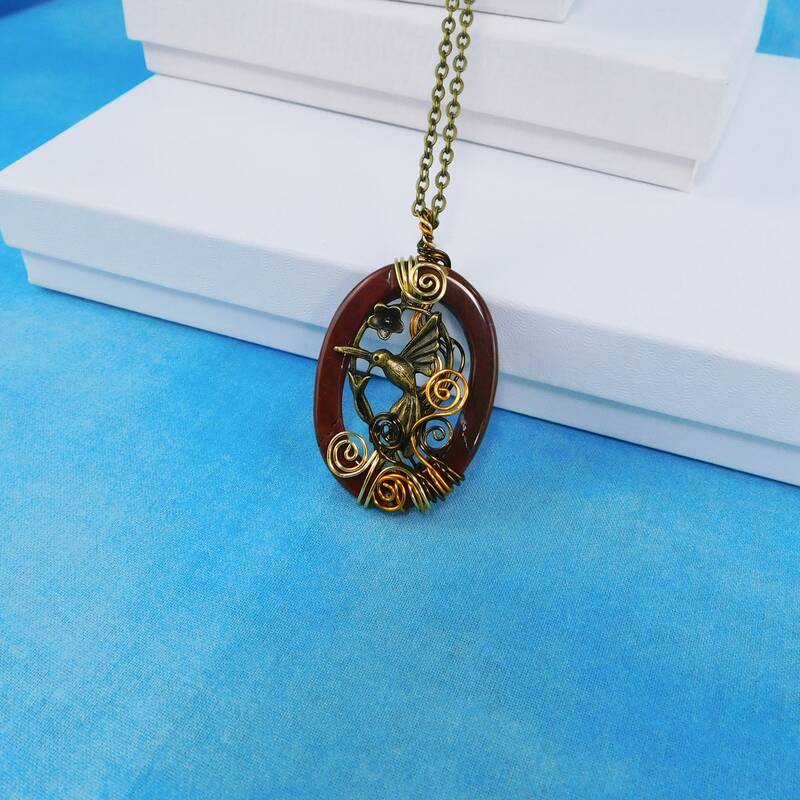 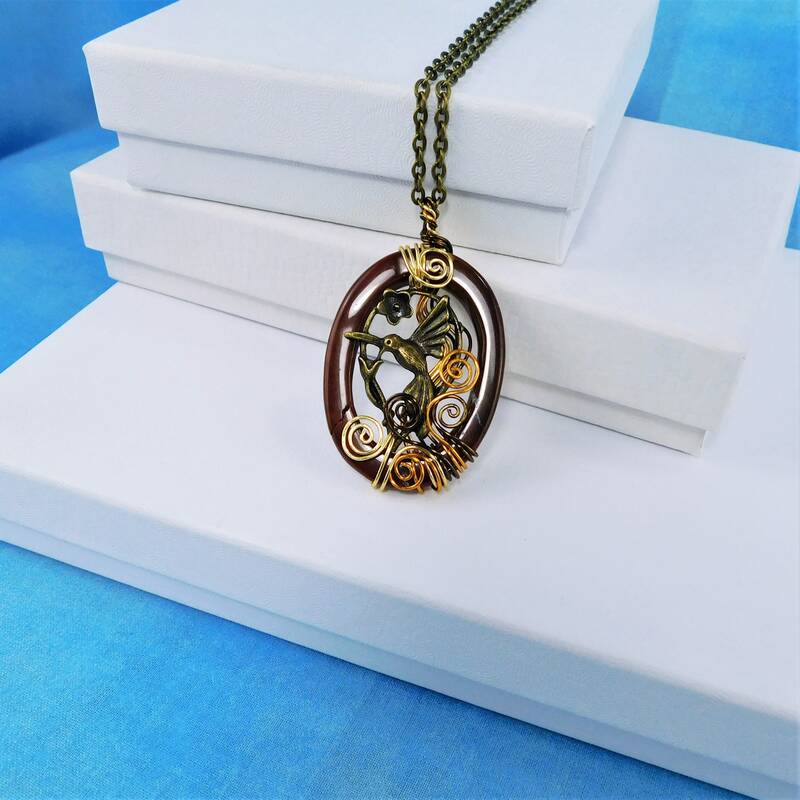 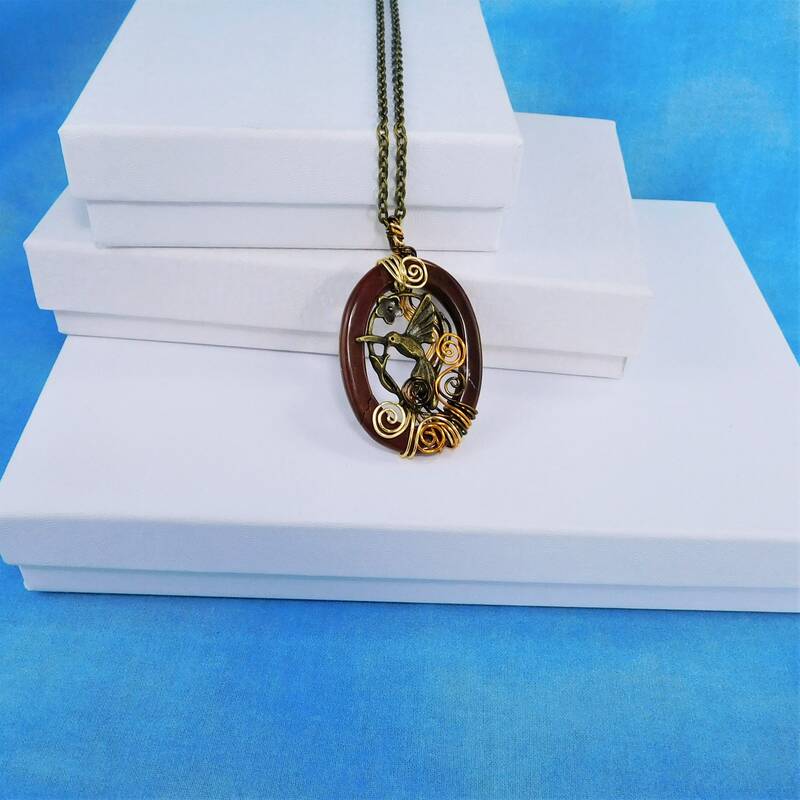 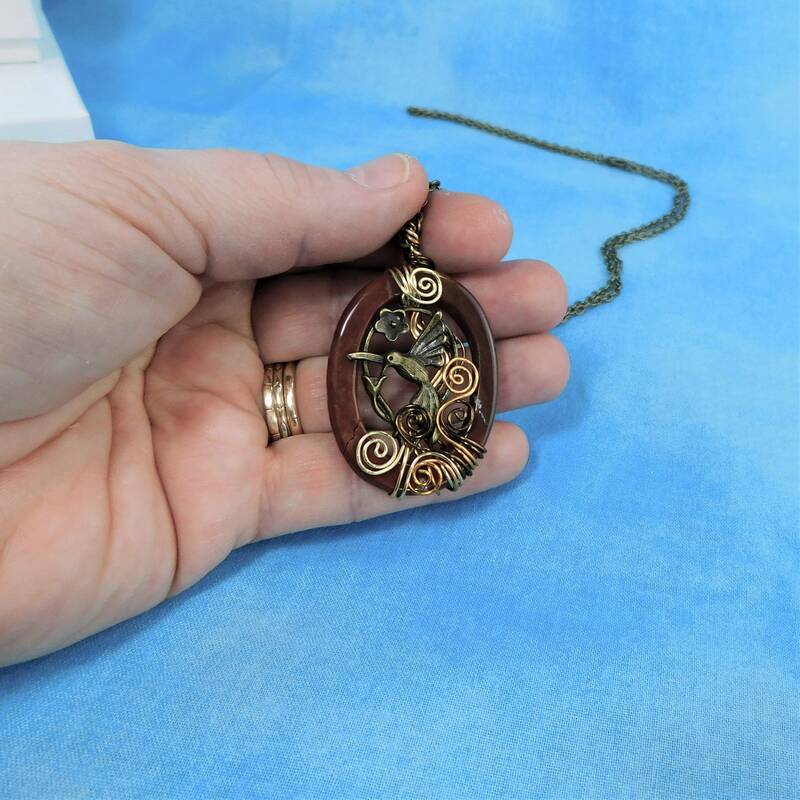 It is wrapped with three shades of non tarnish copper wire, creating this 1 3/4 inch by 1 1/4 inch pendant style necklace. 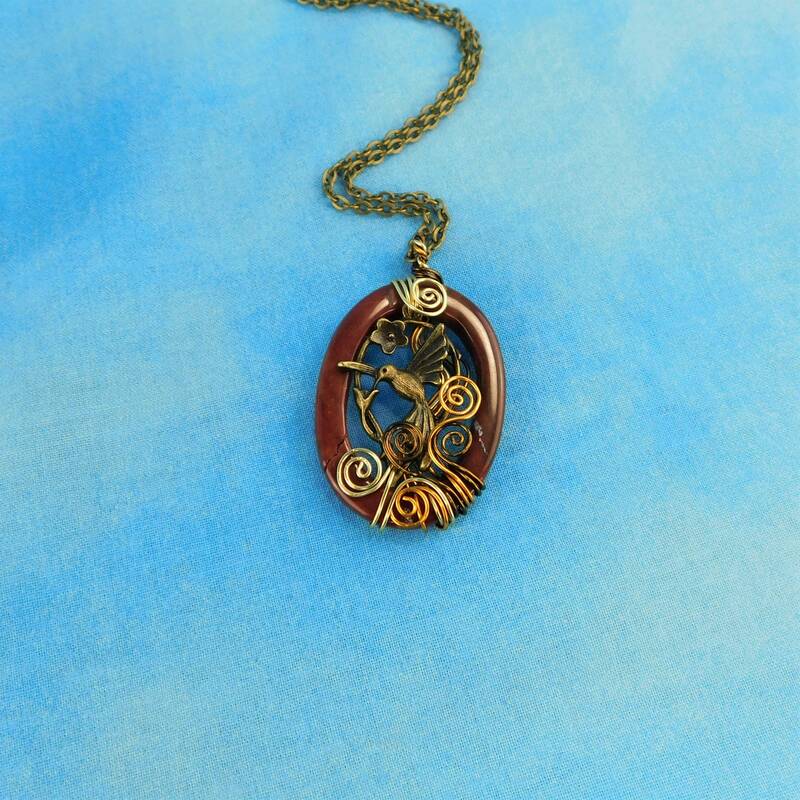 The warm tones of the copper wire against the red of the jasper of the stone created texture and interest. 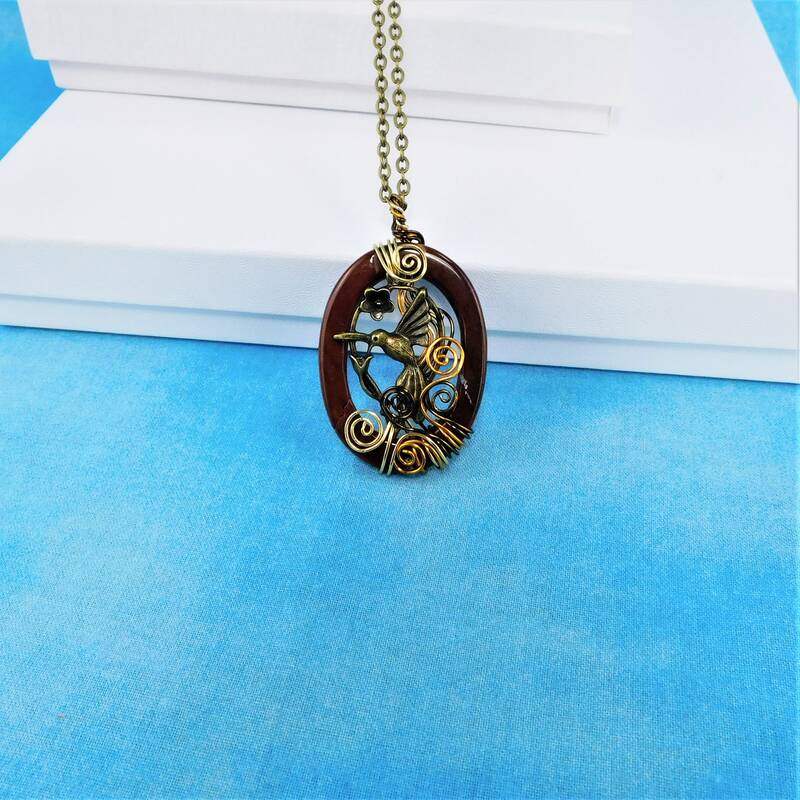 The necklace includes a FREE coordinating chain with lobster claw clasp, measured to your preferred length.